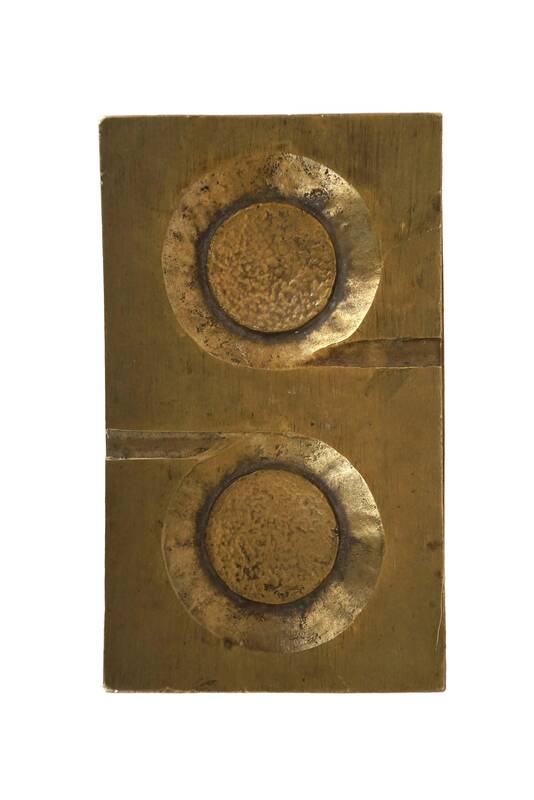 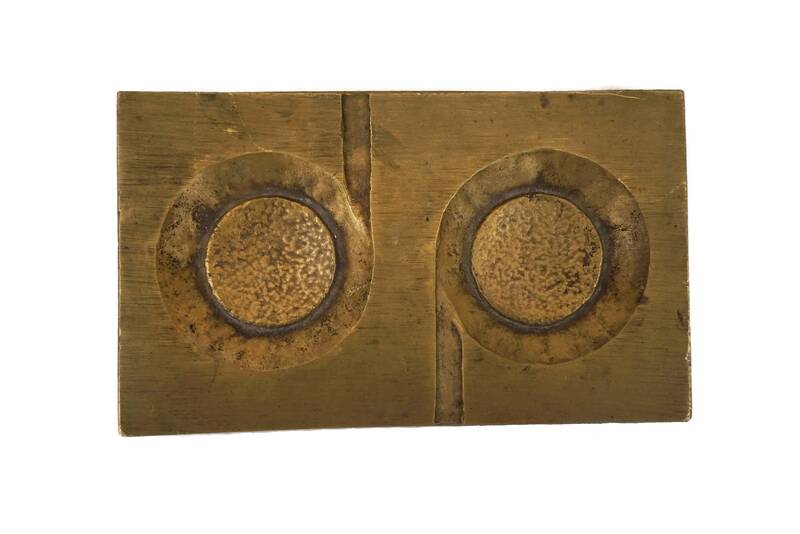 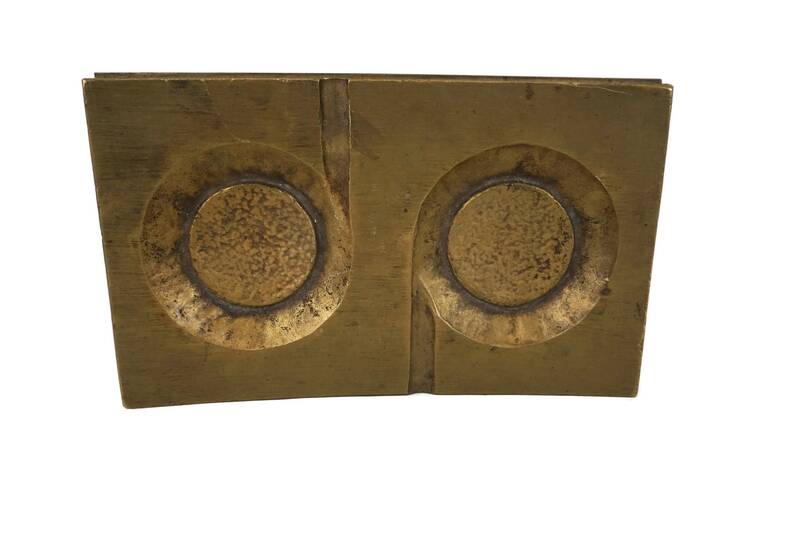 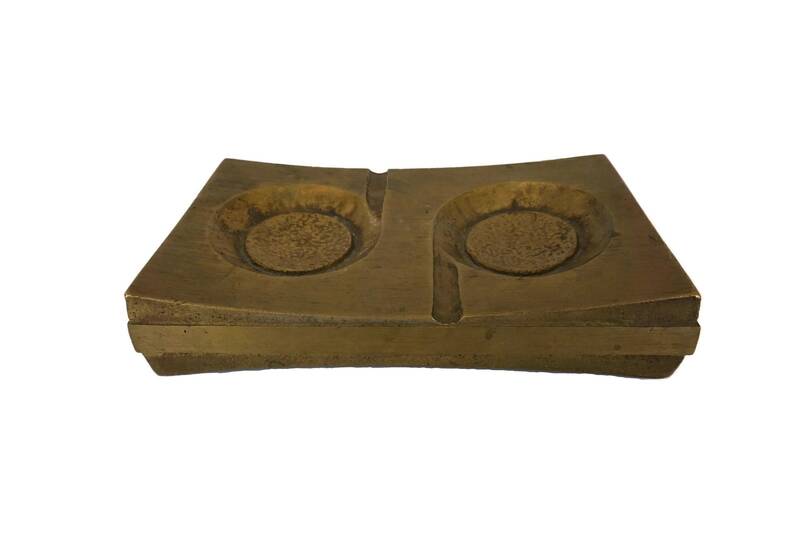 A stylish Modernist brass ashtray dating from the 1970s. 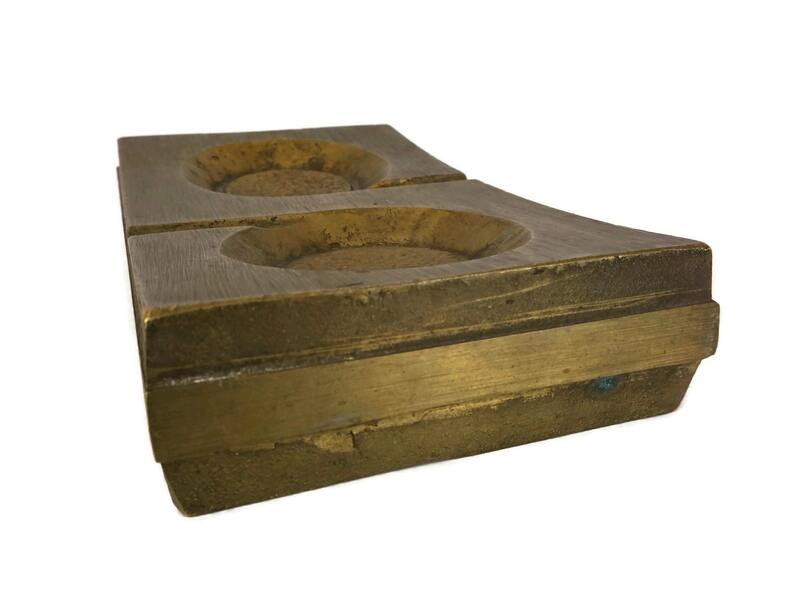 The large vintage ashtray has been cast from solid brass and features the initials DP. 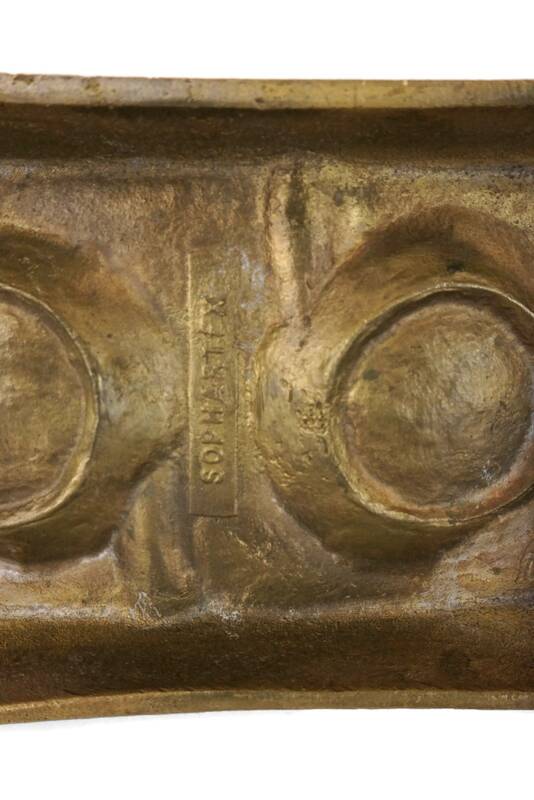 It was originally offered as an advertising promotional gift from the French pharmaceutical company Sophartex. 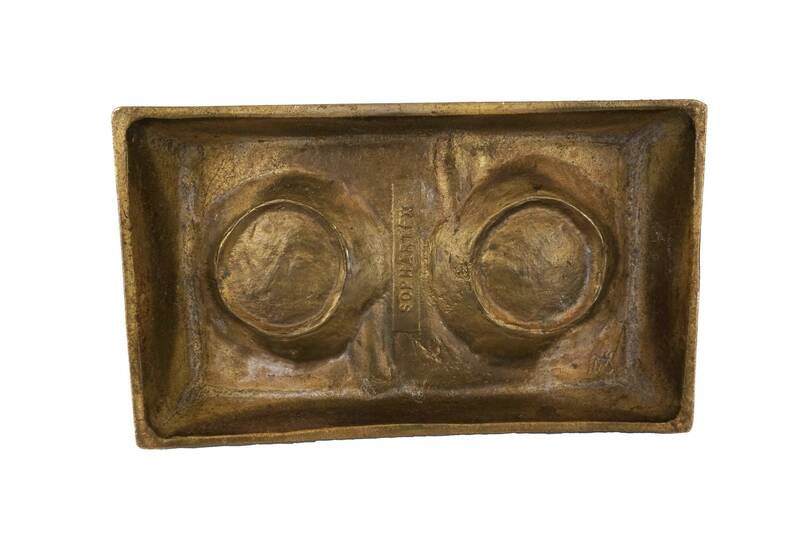 It could be used as a paperweight, desk organizer or coin dish. 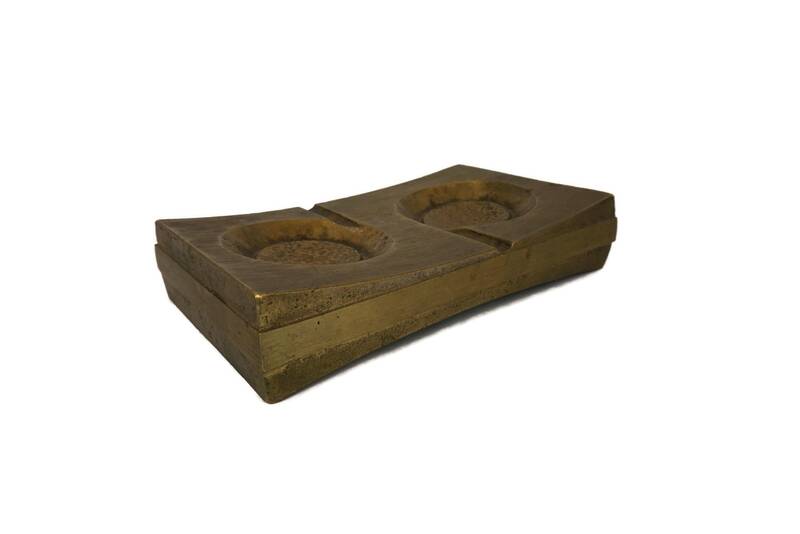 The ashtray is relatively heavy and would add an elegant decorative touch to your desk and office decor. 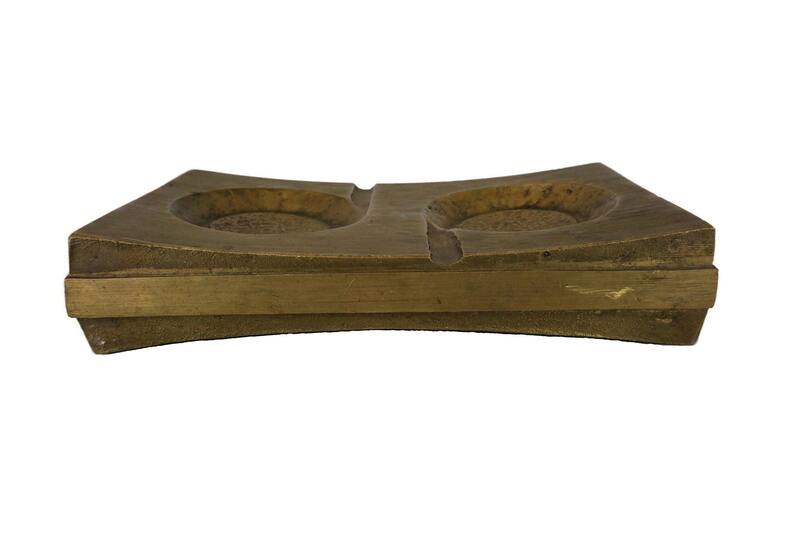 (18 cm x 11,5 cm x 4 cm). 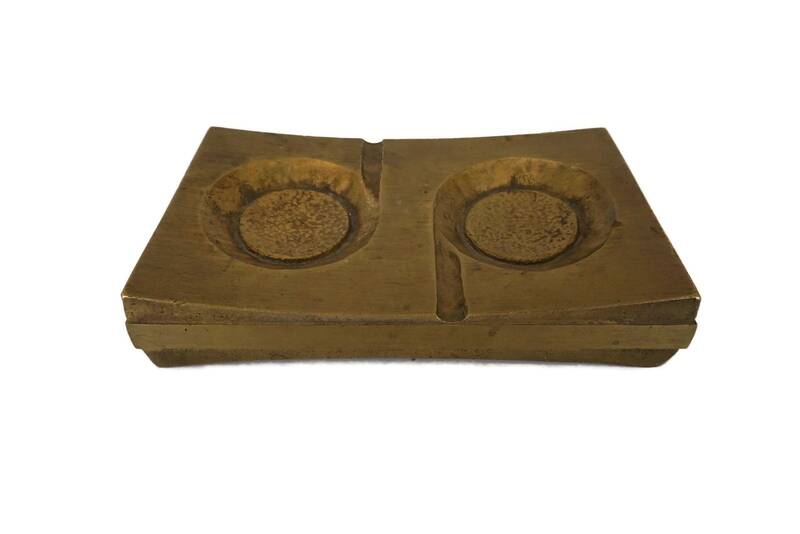 The vintage Modernist ashtray is in excellent condition with some surface marks and an aged patina.